The Tapping Solution Foundation recently visited Antigua (the ancient capital of Guatemala, now a bustling colonial city) to teach and promote the use of EFT Tapping in the classroom. We visited the “Escuela Integrada de Niños Trabajadores”, a private school dedicated to serving the children of several communities around Antigua. These are children who live in extreme poverty and who, were it not for the efforts of the school, would probably be out working at a very tender age. The school had learned about EFT Tapping through the outreach efforts of the Tapping Solution. They realized the value of implementing this technique for school children, and reached out for help in implementing a program locally. Dr. Maria Laura Ortner, Director of Global Outreach for the Tapping Solution Foundation, replied and, over the course of several months, met over Skype with both their school psychologist and their school counselor, teaching them and guiding them on how to best use tapping with the children. Delighted with the initial results, we eventually travelled to Antigua and spent three days teaching the tapping techniques to the schoolchildren, as well as to their teachers, school staff and parents. 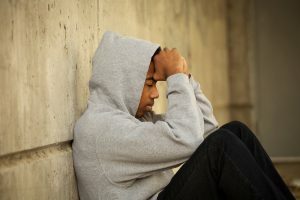 Most of these young boys and girls have been severely traumatized in their infancy, through poverty, malnutrition, and in general very poor living conditions. 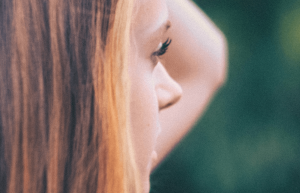 The tapping techniques work extremely well to relieve them of these emotional burdens, and to give them a sense of self-worth. One of the teachers at the school, Sandra Flores, told us about Daniel, a 16-year-old boy who goes to a night school at which she also teaches. It is a school for adolescents and adults to complete their primary education. She told us that Daniel has nervous ticks, and often gets anxious and stressed; she did some Tapping with him, and the next day Daniel came to her and wanted to learn more, because he said it had really helped him. And they even did it in Kaquikel, one of the local Mayan languages! 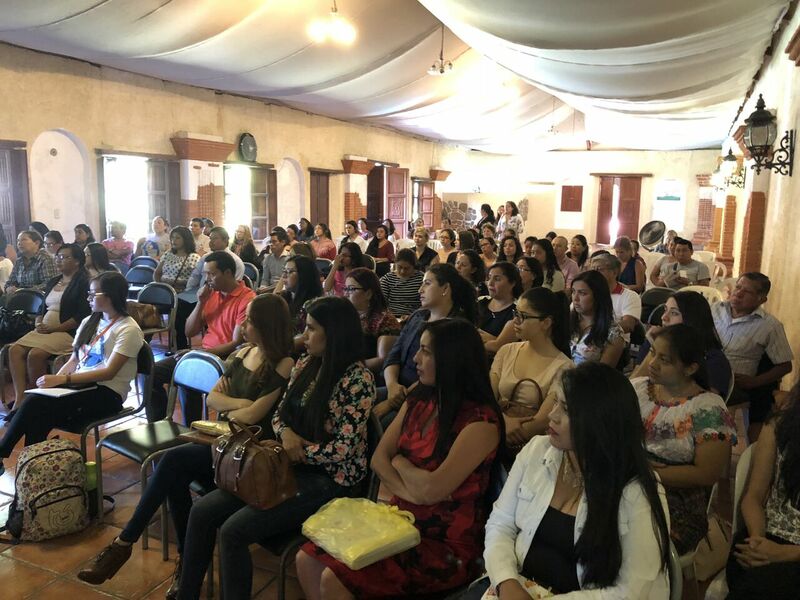 We also gathered with all the teachers at the Escuela Integrada, to discuss the benefits of EFT, some of its subtleties, how best to use it with children, etc., and gave a full presentation to a large group of parents, perhaps 50 or 60, many of whom came from quite far to attend. The receptiveness at the Escuela Integrada was amazing! The children loved it, and the teachers and staff, seeing the immediate positive effects it had, bought into the concept wholeheartedly. At the conclusion of our stay, the school also organized a workshop where we were able to introduce the technique to other community members from Antigua and the surrounding area, including psychologists, teachers, and social workers, among others. 95 people attended, with most of them paying an entrance fee that went to the school as part of their fundraising. It was a roaring success! 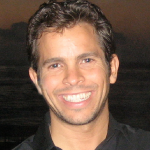 The Escuela Integrada is supported 100% by GRACES, a US-based charitable organization. The country of Guatemala has a very limited public school system, so these children, whose families for the most part live in abject poverty, would otherwise probably remain uneducated. In addition to the schooling, they provide the children with two nutritious meals per day, counseling to the parents, water filters for their homes, as the water quality in the area is very poor, and food and domestic supplies to many of the families. They even organize volunteer teams who come from the USA to help with building homes, and other necessities. The work they do is quite amazing, and is without a doubt making a huge impact in the lives of these people. Visit their website at WeAreGraces.org. For more information on The Tapping Solution Foundation, a 501 (c) (3) charitable organization, and on how you too can implement Tapping in your schools, visit their website at TappingSolutionFoundation.org or contact us at info@tappingsolutionfoundation.org. 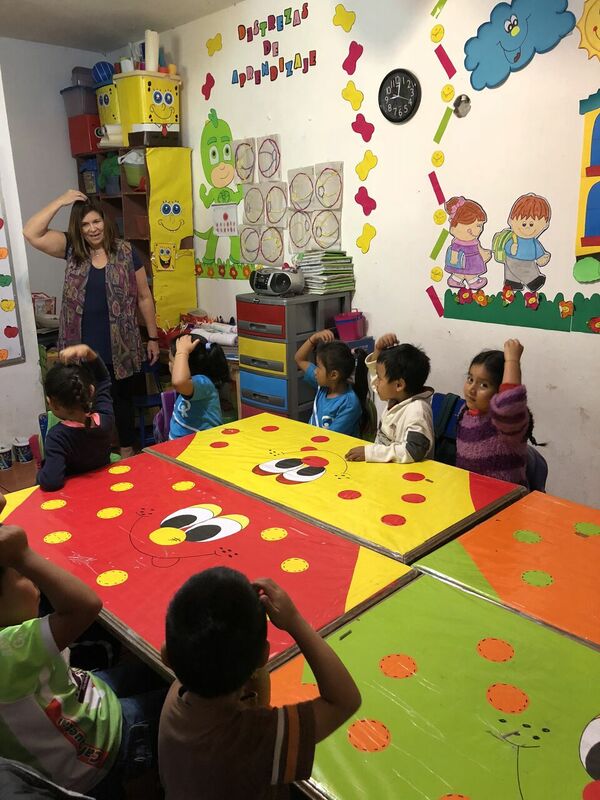 Dr. Ortner is teaching EFT Tapping to a kindergarten class in the Escuela de Niños Trabajadores in Antigua, Guatemala. The kids had fun and loved it! Approximately 100 people attended this Tapping event in Antigua, Guatemala. Dr. Ortner held a Tapping Workshop for teachers, therapists, psychologists, social workers, police officers and government officials. Hello, my name is Nayalet and I work as teacher ,with children from 2 to 6 years old, since 2003 and bring tapping to children make feel and think that is the right way. I would like to get more information please.